It's been sometime since we posted about the TMAU therapeutic research (scroll down on this link to see all posts). When the project was announced in late 2012 early 2013, the timing could not have been more perfect as it coincided with the World Premiere of the “The Boy who smells like Fish.” The video seems to be available on YouTube for viewing. With a project of this size and nature, and out of respect for the grant and scientists, we have thought it was best to keep the communications line open, but not to be too intrusive on the progresses achieved. Outcomes Impact: Patient group MEBO have access. I can't speak for the scientists performing this research, but in order for there to be the control needed for this study, I bet they will select the subjects who have tested positive for TMAU. 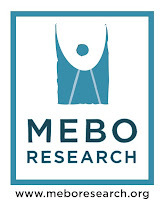 The scientists will probably approach the physicians who perform the test and treatment in the UK, which many are involved with MEBO. But again, I can't speak for the scientists; this is just my speculation. Some sufferers are becoming impatient and asking for the scientists who are carrying out this research to give an update now, only 1 1/2 years into this initial phase. Looking at this from the sufferer's point of view, 1 1/2 years is a long time to wait while experiencing symptoms and the psychosocial consequences. On the other hand, looking at this from the scientists' point of view, we've only just begun. It's very early in the process. I hope they would consider people from other countries who have tested positive for TMAU. I have but it was done through Monnell and I don't know if they communicate or even know about the Trinzyme study. Anyway, I understand that we are still in the early stages of this. Thanks for posting the update Maria. It definitely gives hope and I know it makes me feel better about the future. Any reason why they changed the funded period date on their website to January? I was looking forward to hearing some thing back this August but I guess I have to wait little longer.